SpeedTest.net by Ookla is one best internet speed testing tool has launched internet speed tester in HTML5 version. The new HTML5 internet speed tester is still in beta stage and the developers are looking for the feedback from the beta testers. SpeedTest.net automatically navigates to HTML5 internet speed tester version if the browser doesn’t has Flash player or Flash has been blocked. Speedtest.Net HTML5 internet speed tester has dark interface with stylish flat gauge. Test results and settings can be accessed by top menu. The world map which was available in the Flash version has been dropped in the new HTML5 version. This new HTML5 internet speed tester is quite simple with just a “Begin Test” button and meter. It is very light compared to the Flash internet speed tester. Why OOKLA Migrated Internet Speed Tester from Flash to HTML5? The reason behind migrating internet speed tester from flash to html5 is because Flash is outdated and has many security flaws. Another reason might be because, Mozilla Firefox which is one of the most used web browser has stopped supporting Flash player due to some security errors so the users who visit from Mozilla firefox could not access speedtest.net. And Finally the “Adobe Flash software” itself to become “Adobe Animate”. 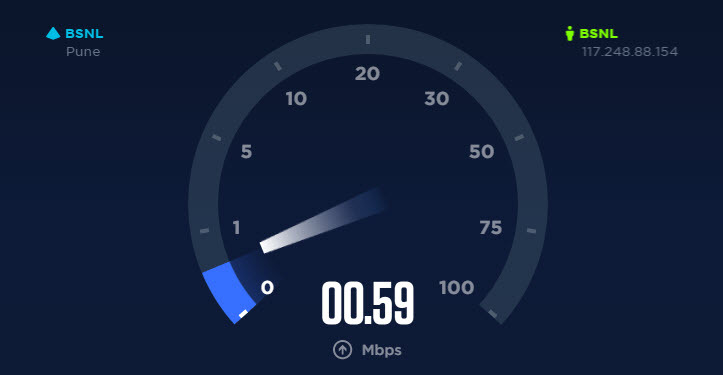 Test your internet speed with Speedtest.Net HTML5 beta now.